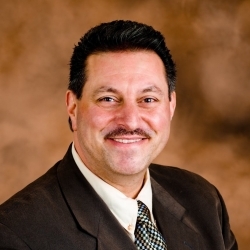 Joseph Addabbo recently replaced John Bonacic as chairman of the NY Senate Racing, Gaming, and Wagering Committee. State Sen. Joseph Addabbo introduced two bills to the New York State Senate to legalize new forms of gambling in the Empire State. Senate Bill 17 is a bill to legalize sports betting, while Senate Bill 18 is Addabbo’s bill to legalize online poker. Sen. Addabboo, who is replacing the departed Sen. John Bonacic as the chairman of the Senate Racing, Gaming, and Wagering Committee, is the new number one proponent of gambling expansion in New York state. Several gaming companies and sports-related groups are investing in New York sports betting, so the smart money is on SB 17 to be signed into law by Gov. Andrew Cuomo in 2019. The Senate’s bill tracker has it listed as “In Committee”, the second of seven steps before draft legislation becomes law. The next step would be to have SB 17 on the floor calendar. The fourth step — passing a Senate vote — is likely, given the fact the New York Senate has been more amenable to gambling than the General Assembly over the past few years. If SB 17 passes in the Senate, it would then go to the General Assembly for its stiffest test. While the Senate has passed several online poker resolutions since 2015, each has died in committee in the General Assembly. As in years past, Assemblyman Gary Pretlow is expected to be SB 17’s champion in the General Assembly. The bill likely will receive a committee vote in February to April, which would produce a likely floor vote later in the year. New York’s sports betting bill would institute a tax of 8.5% on gross revenues, along with the duty of sportsbooks to operate all betting action or turnover on sports betting. It also adds new penalties for those who organize illegal sports betting. The proverbial writing on the wall points to New York passing a sports betting bill. MGM Resorts recently bought Yonkers Raceway and Empire City Casino for $850 million, a sign that MGM Resorts wants to capitalize on the racetrack-casino’s location near New York City. Just as telling, the Rooney Family (owners of the Pittsburgh Steelers) are selling the racetrack they have owned for 46 years — in part because the NFL does not like the optics of a franchise owning a sportsbook. Caesars Entertainment signed a deal last week with the Oneida Indian Nation (OIN) to operate sportsbooks at the OIN’s three tribal casinos in New York. While the deal only goes into effect if sports betting is legalized, the fact executives at both gaming groups took the time to sign a deal is an indication both believe sports betting is on the way. Meanwhile, the Madison Square Garden Company filed a trademark application with the U.S. Patent Office in December for a sports betting app (name: MSG sports betting app). The MSG Company owns Madison Square Garden, MSG.com, the New York Knicks, and the New York Rangers. While such a trademark might be a simple precaution on the part of the media and sports company, the paperwork has a signed statement from the Dolan Family that the company is serious about launching a sports betting app. The statement was taken as a sign by Josh Gerben of Gerben Law that James Dolan’s company, a spinoff of Cablevision, plans on a sports betting app. SB 18 has received more attention in the gaming media than SB 17. Online gambling has been on the docket far longer, while the Internet poker community has anticipated the passage of an iPoker bill on several occasions. Each time, New York online poker has failed in the General Assembly. Gary Pretlow got cold feet in December 2015, because of fears about geolocation technology. Pretlow discussed the issue with regulators from New Jersey’s Division of Gaming Enforcement and received assurances that GPS technology could enforce a federal ban on interstate online gambling. In June 2016, Gary Pretlow sought to have the online poker bill receive a floor vote, but last-minute budget battles led to the bill dying in committee. That meant the entire process had to restart in the 2017 and 2018 legislatures. Online poker lost momentum, despite a successful vote in the New York Senate. This time around, conditions in the General Assembly might be different. Online poker revenues have grown annually for 5 years now in New Jersey. Where iPoker once was considered a disappoint, the online poker industry now is seen as a success. Meanwhile, Pennsylvania online poker sites will be launching throughout 2019. Pennsylvania Gov. Tom Wolf signed an omnibus gambling expansion bill in October 2017. Throughout 2018, the Pennsylvania Gaming Control Board licensed land-based casino operators for online casinos and poker sites. The increasing revenues that New Jersey and Pennsylvania receive could put pressure on New York legislators to follow suit — or at least serve as a model for online poker advocates in New York.